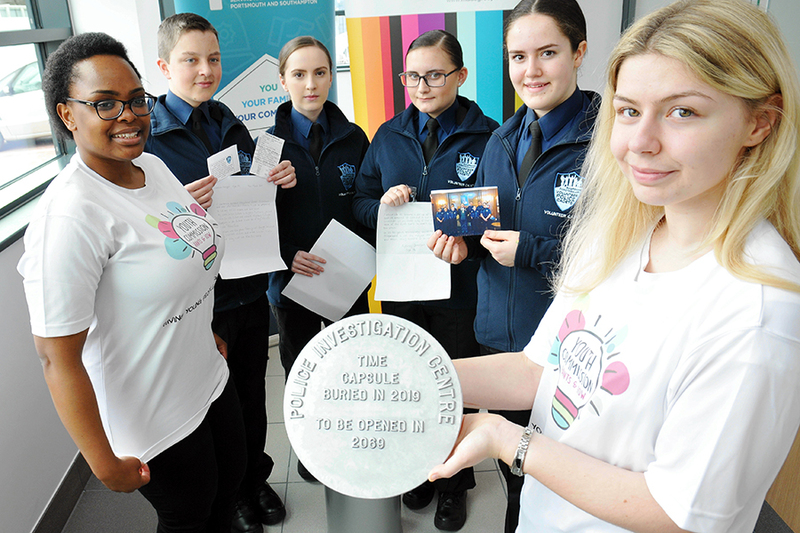 Earlier this month, on 5 March, Police and Crime Commissioner Michael Lane and young people from the PCC’s Youth Commission and the Constabulary’s police cadet scheme buried a time capsule at the new Eastern Police Investigation Centre (PIC) in Portsmouth. Youth Commission members Faith, Casey and Marcia have written about what they put into the time capsule and why. My name is Faith Adams-Wright. I’m currently 18 years old and will be 68 when the time capsule buried in the grounds of the Eastern PIC is dug up. I doubt I’ll remember this capsule so if someone could give me a call or something that’d be great! I’ve been a member of the Hampshire and Isle of Wight Youth Commission since 2017 (that’s two years now). I’ve done so many things with the Youth Commission and even though I’m still young I’ve been carried very far towards the career I’d like to achieve. I really hope that the Youth Commission is still around in 50 years’ time as it’s an amazing opportunity to have your voice heard by professionals. 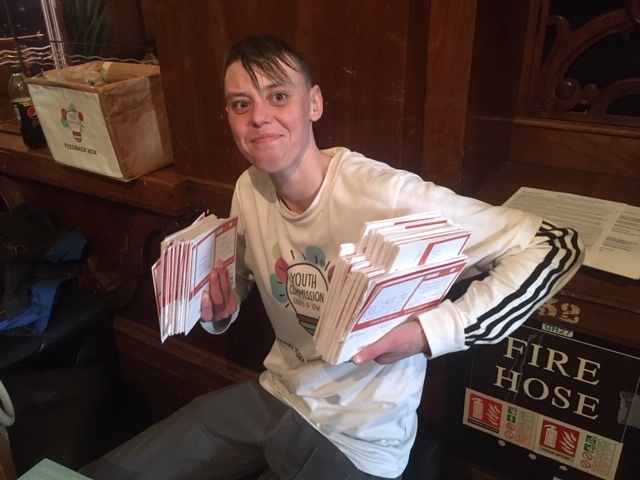 Over the short time I’ve been a member of the Youth Commission we’ve had numerous organisations approach us asking for our opinions (and they know we’ll be brutally open and honest!). These agencies have ranged from charities all the way up to Public Health. I hope also that the younger generations have more of a say in public affairs. For two years one of our priorities was mental health. We helped raise awareness, as it’s a subject not talked about a lot, yet affects many people. We also ran an art competition called ‘draw a line through stigma’ which we had some amazing entries for. In the time capsule we placed our two posters designed for secondary schools so young people can get support with their mental health, and the A-Z of coping strategies that we produced with Hampshire CAMHS for primary schools. Another priority which has developed further is Cyber Safety. Cyber Ambassadors are a result of responses from our Big Conversation. This peer-led scheme supports students on cyber safety in primary and secondary schools. In primary schools pupils are defeating cyber sea monsters (Bi-diphorous, Info-eater, Angler, Selphire and Meanataur). In secondary schools, students #GoFISH (Go Find Internet Safety Help). Therefore we also placed our sea monster top trump cards in the capsule to show what internet issues we were addressing. Our other priorities have included substance misuse and unhealthy relationships which various Youth Commission members are working on. To help raise awareness of unhealthy relationships we did an amazing campaign called ‘Raise a Flag’ and highlighted it during the World Cup in 2018. In the capsule we have placed the flag that has been raised on buildings across the area. Young people want to be part of the solution and not the problem.